Part 5 of this series continues the story of the excavations of Herculaneum, as we seek to unravel the answer to the Novel Travelist mystery: Why was the Villa dei Papyri never fully excavated? Here we continue this story. In 1765, excavations at Herculaneum were halted in favor of excavating Pompeii. Two years later, young Ferdinand came of age and officially became King of Naples and the Two Sicilies. Ferdinand quickly became so unpopular among his subjects that they began to refer to him publicly as “King Big-Nose”. His estranged queen, Maria Carolina, had befriended Padre Piaggio, the Vatican calligrapher tenaciously working to unroll and translate the papyrus scrolls from the Herculaneum villa. Carolina wholeheartedly supported this effort, despite – or perhaps because of - a complete lack of interest by her husband. Then a world event utterly personal to Maria Carolina would interrupt. Louis XVI of France was overthrown and beheaded. Shortly thereafter, Louis’ queen would also fall to the guillotine. Carolina’s outrage was two-fold. 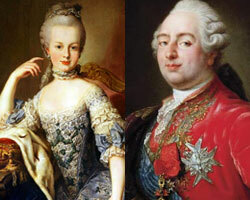 First, the infamous queen Marie Antoinette had been her younger sister. 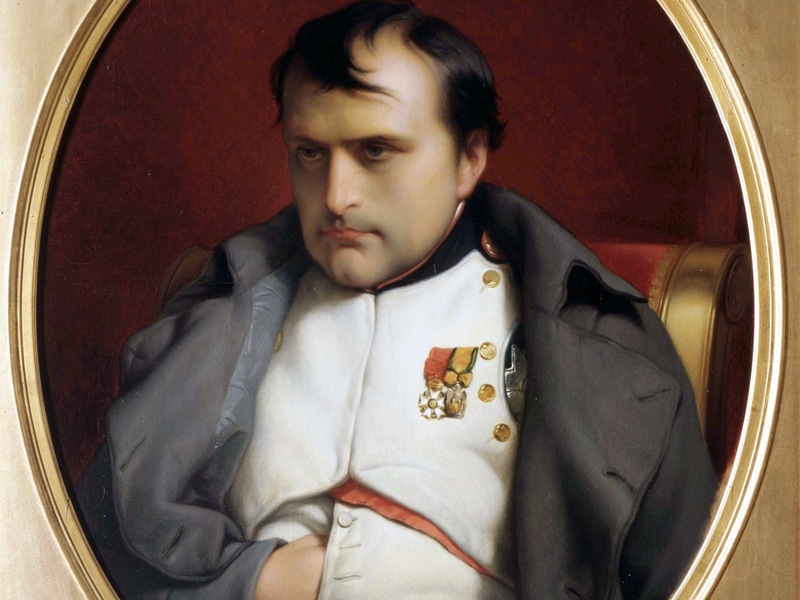 Second, Napoleon was now marching toward Naples. As Napoleon’s army approached, Piaggio succeeded in transcribing and publishing the first papyrus scroll from Herculaneum. Maria Carolina packed up the scrolls, her husband, and her lover and fled to Sicily, leaving Piaggio behind to continue his work in private. 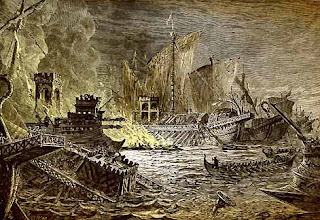 After pillaging what the Royal family had left behind in Naples, Napoleon’s interest in the ruins of Herculaneum escalated to obsession almost overnight. It was clearly something of Egyptian origin that had caught his eye. What, exactly, this might have been is explored in the first Katrina Stone novel, The Vesuvius Isotope. From Naples, Napoleon headed directly to Egypt, and from there back to France. He immediately established a new French Institute of Egyptian Studies in Cairo whose highest priority tasks included the translation of the newly discovered Rosetta Stone, a commemoration of the 9th year of reign of Egyptian Pharaoh Ptolemy V.
Meanwhile, after Napoleon’s army had moved on, Carolina and her entourage returned to Naples. Having been abandoned by her lover and having always hated her husband, she threw herself into a restoration project that went hand in hand with brutal repression of anyone she deemed a pro-French traitor. Executions were held weekly in Piazza del Mercato, the Market Square of Naples. Napoleon returned to Naples again in 1806. This time, the papyrus scrolls were left behind for him to seize. apprentices. When Napoleon became emperor, she sent him her prized scroll as a gift. It described in detail the Battle of Actium and the fall of Cleopatra and Mark Antony. King Big-Nose was placed back on the throne for a third time, at which time he traded some of the scrolls to Britain’s King George IV in exchange for a giraffe. The English again tried a chemical softening process to unwind them. Again, the scrolls were ruined. No more had been unearthed. To be continued in Part 7 of The Buried Books of Herculaneum. 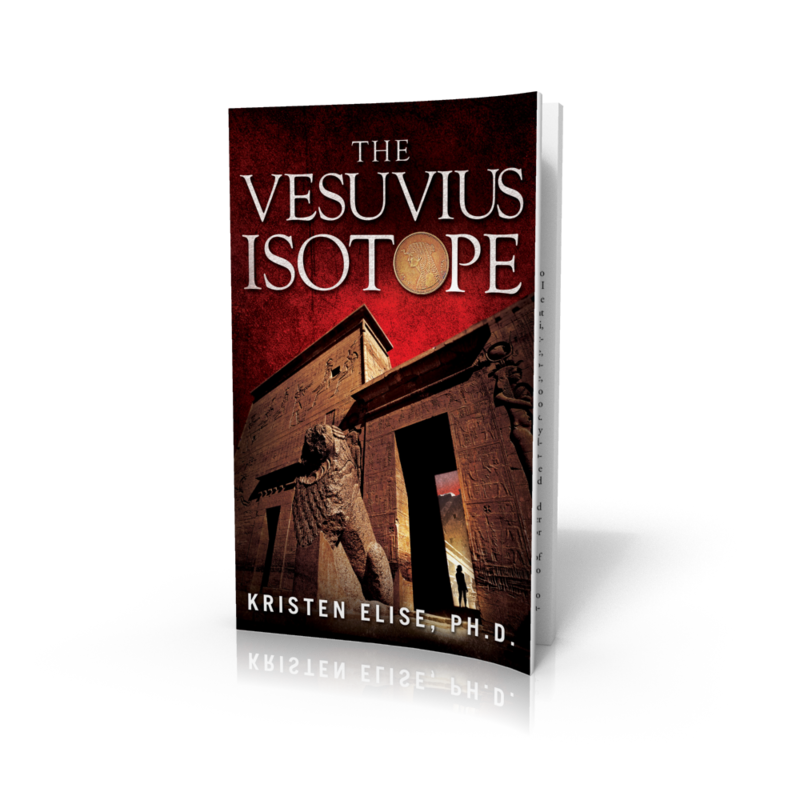 This blog post explores a non-fictional theme or locale that is incorporated in The Vesuvius Isotope, a new novel by Kristen Elise. 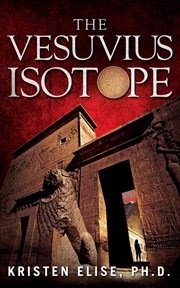 Buy The Vesuvius Isotope on Amazon. When her Nobel laureate husband is murdered, biologist Katrina Stone can no longer ignore the secrecy that increasingly pervaded his behavior in recent weeks. Her search for answers leads to a two-thousand-year-old medical mystery and the esoteric life of one of history’s most enigmatic women. Following the trail forged by her late husband, Katrina must separate truth from legend as she chases medicine from ancient Italy and Egypt to a clandestine modern-day war. Her quest will reveal a legacy of greed and murder and resurrect an ancient plague, introducing it into the twenty-first century. Kristen Elise, Ph.D. is a drug discovery biologist and the author of The Vesuvius Isotope. She lives in San Diego, California.